Most of the Hebrew people who merged with Arabs and other tribes many centuries ago were evil, full of idolatry and lived by the sword. 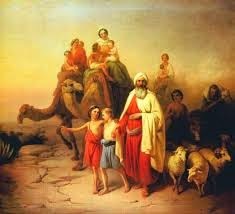 Like Ishmael, they were like wild donkeys – obstinate, aggressive and stubborn. Today, the descendants of those Hebrew/Arab people still live all over the Middle East and still live by the sword – and their guns, and are still like wild donkeys – obstinate, aggressive and stubborn. Like their ancestors, they are still wrathfully jealous of Isaac’s descendants, the children of Israel. Many people are called to have a deep, holy relationship with God and there are millions who are close to the Lord, serve God and who live normal lives but only a few are chosen to be set aside for one special, specific purpose. They are genuine disciples who live their lives in the shadow of the Almighty. 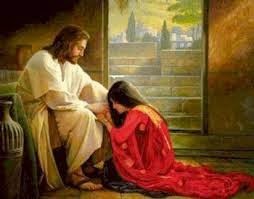 When the Lord chooses a special servant, the person He chooses is often considered a social outcast like Mary Magdalene. Chosen people have a special anointing and deep knowledge of God others do not have.